Tokyo: Mitsumura Printing Company, 1991. 50 offset lithographs. Each with blindstamp title, date and number on mount. Each approx. 9½ x 12¾in. (24.1 x 31.1cm.) Title & list of plates. Additional plate IBM Courtyard Tokyo. Aluminium portfolio box & card slipcase. Parr & Badger, The Photobook: A History Volume 1, Phaidon, 2004, pp.308-09. This portfolio is from the first edition of 500. 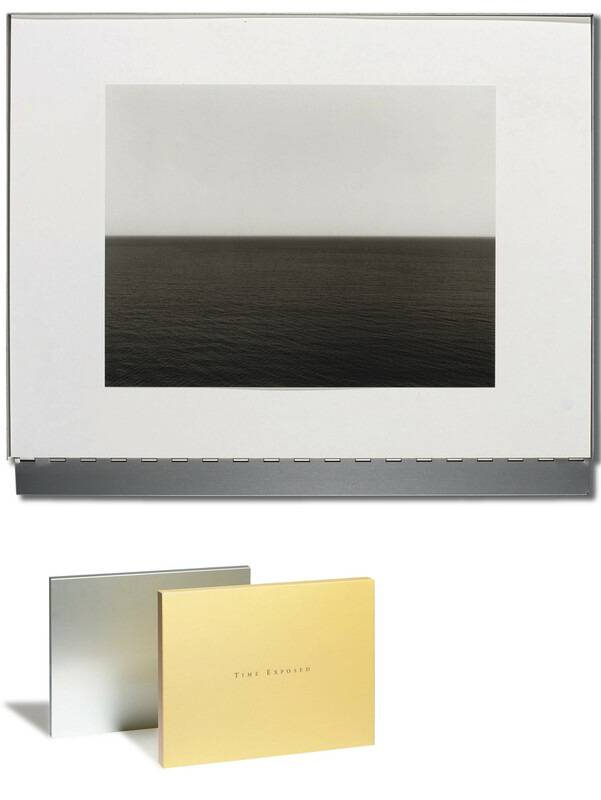 The first of many notable portfolios by Sugimoto, Time Exposed brings together his seascape series, packaged in a specially-designed brushed aluminium box and card slipcase. This meticulous treatment of design and packaging stems from Japanese photobook tradition.